A walk from the Ipswich Wet Dock, along the river to Ipswich Station, with civil engineering history of elements along the way. 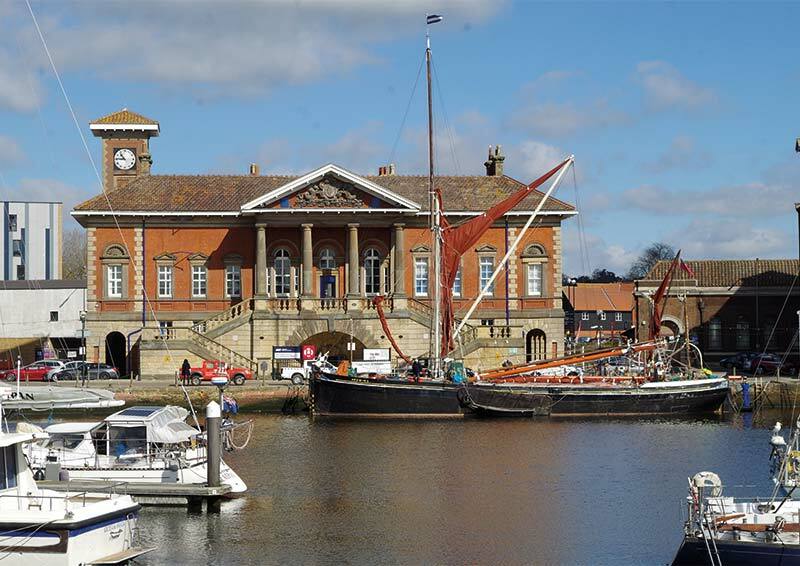 Meeting at Quay Place 12.00-12.30 to assemble and have bite for lunch beforehand, the walk will begin from the 1845 Ipswich Wet Dock, and proceed via Stoke Bridges, along the river to Ipswich Station. The civil engineering history of the Wet Dock, Stoke Bridges, and the Stowmarket Navigation, with stops along the way, finishing with the Ipswich Station and the Eastern Union Railway. In the event of bad weather there will be a talk on Ipswich's civil engineering history at Quay Place. Ian Anderson has been the East of England representative on the ICE Panel for Historical Engineering Works since 2002 and has recorded the history of many of the works covered by the walk, having a particular current interest in works by Peter Schuyler Bruff and his railway projects amongst others.